S. K. Akagi, R. J. Yokelson, C. Wiedinmyer, M. J. Alvarado, J. S. Reid, T. Karl, J. D. Crounse, and P. O. Wennberg, „Emission factors for open and domestic biomass burning for use in atmospheric models,“ Atmospheric chemistry and physics, vol. 11, iss. 9, pp. 4039-4072, 2011. E. G. Alves, K. Jardine, J. Tota, A. Jardine, A. M. Yanez-Serrano, T. Karl, J. Tavares, B. Nelson, D. Gu, T. Stavrakou, S. Martin, P. Artaxo, A. Manzi, and A. Guenther, „Seasonality of isoprenoid emissions from a primary rainforest in central amazonia,“ Atmospheric chemistry and physics, vol. 16, iss. 6, pp. 3903-3925, 2016. E. Apel, L. Emmons, T. Karl, F. Flocke, A. Hills, S. Madronich, J. Lee-Taylor, A. Fried, P. Weibring, J. Walega, D. Richter, X. Tie, L. Mauldin, T. Campos, A. Weinheimer, D. Knapp, B. Sive, L. Kleinman, S. Springston, R. Zaveri, J. Ortega, P. Voss, D. Blake, A. Baker, C. Warneke, D. Welsh-Bon, J. de Gouw, J. Zheng, R. Zhang, J. Rudolph, W. Junkermann, and D. Riemer, „Chemical evolution of volatile organic compounds in the outflow of the mexico city metropolitan area,“ Atmospheric chemistry and physics, vol. 10, iss. 5, pp. 2353-2375, 2010. A. ARNETH, U. NIINEMETS, S. PRESSLEY, J. BACK, P. HARI, T. KARL, S. NOE, I. PRENTICE, D. SERCA, T. HICKLER, A. WOLF, and B. SMITH, „Process-based estimates of terrestrial ecosystem isoprene emissions: incorporating the effects of a direct co2-isoprene interaction,“ Atmospheric chemistry and physics, vol. 7, pp. 31-53, 2007. I. Bamberger, L. Hoertnagl, T. M. Ruuskanen, R. Schnitzhofer, M. Mueller, M. Graus, T. Karl, G. Wohlfahrt, and A. Hansel, „Deposition fluxes of terpenes over grassland,“ Journal of geophysical research-atmospheres, vol. 116, 2011. M. P. Barkley, P. I. Palmer, L. Ganzeveld, A. Arneth, D. Hagberg, T. Karl, A. Guenther, F. Paulot, P. O. Wennberg, J. Mao, T. P. Kurosu, K. Chance, J. -F. Mueller, I. De Smedt, M. Van Roozendael, D. Chen, Y. Wang, and R. M. Yantosca, „Can a „state of the art“ chemistry transport model simulate amazonian tropospheric chemistry?,“ Journal of geophysical research-atmospheres, vol. 116, 2011. M. BARKLEY, P. PALMER, I. DE SMEDT, T. KARL, A. GUENTHER, and M. VAN ROOZENDAEL, „Regulated large-scale annual shutdown of amazonian isoprene emissions?,“ Geophysical research letters, vol. 36, 2009. M. BARTH, J. MCFADDEN, J. SUN, C. WIEDINMYER, P. CHUANG, B. COLLINS, R. GRIFFIN, M. HANNIGAN, T. KARL, S. KIM, S. LASHER-TRAPP, S. LEVIS, M. LITVAK, N. MAHOWALD, K. MOORE, S. NANDI, E. NEMITZ, A. NENES, M. POTOSNAK, T. RAYMOND, J. SMITH, C. STILL, and C. STROUD, „Couling between land ecosystems and the atmospheric hydrologic cycle through biogenic aerosol pathways,“ Bulletin of the american meteorological society, vol. 86, iss. 12, pp. 1738-1742, 2005. A. BOSCHETTI, F. BIASIOLI, M. VAN OPBERGEN, C. WARNEKE, A. JORDAN, R. HOLZINGER, P. PRAZELLER, T. KARL, A. HANSEL, W. LINDINGER, and S. IANNOTTA, „Ptr-ms real time monitoring of the emission of volatile organic compounds during postharvest aging of berryfruit,“ Postharvest biology and technology, vol. 17, iss. 3, pp. 143-151, 1999. M. BOY, T. KARL, A. TURNIPSEED, R. MAULDIN, E. KOSCIUCH, J. GREENBERG, J. RATHBONE, J. SMITH, A. HELD, K. BARSANTI, B. WEHNER, S. BAUER, A. WIEDENSOHLER, B. BONN, M. KULMALA, and A. GUENTHER, „New particle formation in the front range of the colorado rocky mountains,“ Atmospheric chemistry and physics, vol. 8, iss. 6, pp. 1577-1590, 2008. W. Brune, W. Bloss, Z. Shi, F. Pope, G. Fuller, P. S. Monks, A. Tomlin, T. Karl, M. Hort, C. Mohr, R. MacKenzie, A. Vlachou, Z. Tian, L. J. Kramer, D. Heard, R. Purvis, X. Querol, U. Baltensperger, R. Dunmore, R. Harrison, T. Murrells, J. L. Jimenez, E. Cross, G. McFiggans, A. Kiendler-Scharr, T. Ho, A. Charron, T. Wallington, N. K. Kumar, S. Pieber, F. Geiger, A. Wahner, E. Mitchell, A. Prevot, A. Skouloudis, M. Kalberer, B. McDonald, C. N. Hewitt, C. Sioutas, N. M. Donahue, J. Lee, D. van Pinxteren, S. Moller, M. C. Minguillon, M. Shafer, D. Carslaw, C. Ehlers, and S. Pandis, „Urban case studies: general discussion,“ Faraday discussions, vol. 189, pp. 473-514, 2016. L. Cappellin, T. Karl, M. Probst, O. Ismailova, P. M. Winkler, C. Soukoulis, E. Aprea, T. D. Maerk, F. Gasperi, and F. Biasioli, „On quantitative determination of volatile organic compound concentrations using proton transfer reaction time-of-flight mass spectrometry,“ Environmental science & technology, vol. 46, iss. 4, pp. 2283-2290, 2012. A. W. H. Chan, N. M. Kreisberg, T. Hohaus, P. Campuzano-Jost, Y. Zhao, D. A. Day, L. Kaser, T. Karl, A. Hansel, A. P. Teng, C. R. Ruehl, D. T. Sueper, J. T. Jayne, D. R. Worsnop, J. L. Jimenez, S. V. Hering, and A. H. Goldstein, „Speciated measurements of semivolatile and intermediate volatility organic compounds (s/ivocs) in a pine forest during beachon-rombas 2011,“ Atmospheric chemistry and physics, vol. 16, iss. 2, pp. 1187-1205, 2016. Q. CHEN, D. FARMER, J. SCHNEIDER, S. ZORN, C. HEALD, T. KARL, A. GUENTHER, J. ALLAN, N. ROBINSON, H. COE, J. KIMMEL, T. PAULIQUEVIS, S. BORRMANN, U. POSCHL, M. ANDREAE, P. ARTAXO, J. JIMENEZ, and S. MARTIN, „Mass spectral characterization of submicron biogenic organic particles in the amazon basin,“ Geophysical research letters, vol. 36, 2009. Q. Chen, D. K. Farmer, L. V. Rizzo, T. Pauliquevis, M. Kuwata, T. G. Karl, A. Guenther, J. D. Allan, H. Coe, M. O. Andreae, U. Poeschl, J. L. Jimenez, P. Artaxo, and S. T. Martin, „Submicron particle mass concentrations and sources in the amazonian wet season (amaze-08),“ Atmospheric chemistry and physics, vol. 15, iss. 7, pp. 3687-3701, 2015. J. de Arellano, E. Patton, T. Karl, K. van den Dries, M. Barth, and J. Orlando, „The role of boundary layer dynamics on the diurnal evolution of isoprene and the hydroxyl radical over tropical forests,“ Journal of geophysical research-atmospheres, vol. 116, 2011. J. DE GOUW, C. WARNEKE, T. KARL, G. EERDEKENS, C. VAN DER VEEN, and R. FALL, „Sensitivity and specificity of atmospheric trace gas detection by proton-transfer-reaction mass spectrometry,“ International journal of mass spectrometry, vol. 223, iss. 1-3, pp. 365-382, 2003. J. P. DiGangi, E. S. Boyle, T. Karl, P. Harley, A. Turnipseed, S. Kim, C. Cantrell, I. Maudlin R. L., W. Zheng, F. Flocke, S. R. Hall, K. Ullmann, Y. Nakashima, J. B. Paul, G. M. Wolfe, A. R. Desai, Y. Kajii, A. Guenther, and F. N. Keutsch, „First direct measurements of formaldehyde flux via eddy covariance: implications for missing in-canopy formaldehyde sources,“ Atmospheric chemistry and physics, vol. 11, iss. 20, pp. 10565-10578, 2011. J. P. DiGangi, S. B. Henry, A. Kammrath, E. S. Boyle, L. Kaser, R. Schnitzhofer, M. Graus, A. Turnipseed, J-H. Park, R. J. Weber, R. S. Hornbrook, C. A. Cantrell, I. Maudlin R. L., S. Kim, Y. Nakashima, G. M. Wolfe, Y. Kajii, E. C. Apel, A. H. Goldstein, A. Guenther, T. Karl, A. Hansel, and F. N. Keutsch, „Observations of glyoxal and formaldehyde as metrics for the anthropogenic impact on rural photochemistry,“ Atmospheric chemistry and physics, vol. 12, iss. 20, pp. 9529-9543, 2012. J. Digangi, S. Henry, T. Karl, S. Kim, A. Turnipseeed, Y. Nakashima, L. Mauldin, C. Cantrell, F. Flocke, J. Mak, A. Hansel, Y. Kajii, A. Guenther, and F. Keutsch, „Analysis of formaldehyde fluxes above a ponderosa pine forest measured via eddy-covariance,“ Abstracts of papers of the american chemical society, vol. 242, 2011. C. J. Ebben, I. S. Martinez, M. Shrestha, A. M. Buchbinder, A. L. Corrigan, A. Guenther, T. Karl, T. Petaja, W. W. Song, S. R. Zorn, P. Artaxo, M. Kulmala, S. T. Martin, L. M. Russell, J. Williams, and F. M. Geiger, „Contrasting organic aerosol particles from boreal and tropical forests during humppa-copec-2010 and amaze-08 using coherent vibrational spectroscopy,“ Atmospheric chemistry and physics, vol. 11, iss. 20, pp. 10317-10329, 2011. G. EDWARDS, P. SHEPSON, J. GROSSENBACHER, J. WELLS, G. PATTERSON, D. BARKET, S. PRESSLEY, T. KARL, and E. APEL, „Development of an automated cylindrical ion trap mass spectrometer for the determination of atmospheric volatile organic compounds,“ Analytical chemistry, vol. 79, iss. 13, pp. 5040-5050, 2007. R. FALL, T. KARL, A. HANSEL, A. JORDAN, and W. LINDINGER, „Volatile organic compounds emitted after leaf wounding: on-line analysis by proton-transfer-reaction mass spectrometry,“ Journal of geophysical research-atmospheres, vol. 104, iss. D13, pp. 15963-15974, 1999. R. FALL, T. KARL, A. JORDON, and W. LINDINGER, „Biogenic c5vocs: release from leaves after freeze-thaw wounding and occurrence in air at a high mountain observatory,“ Atmospheric environment, vol. 35, iss. 22, pp. 3905-3916, 2001. J. L. Fry, D. C. Draper, K. J. Zarzana, P. Campuzano-Jost, D. A. Day, J. L. Jimenez, S. S. Brown, R. C. Cohen, L. Kaser, A. Hansel, L. Cappellin, T. Karl, H. A. Roux, A. Turnipseed, C. Cantrell, B. L. Lefer, and N. Grossberg, „Observations of gas- and aerosol-phase organic nitrates at beachon-rombas 2011,“ Atmospheric chemistry and physics, vol. 13, iss. 17, pp. 8585-8605, 2013. C. GERON, A. GUENTHER, J. GREENBERG, T. KARL, and R. RASMUSSEN, „Biogenic volatile organic compound emissions from desert vegetation of the southwestern us,“ Atmospheric environment, vol. 40, iss. 9, pp. 1645-1660, 2006. C. Geron, R. Daly, P. Harley, R. Rasmussen, R. Seco, A. Guenther, T. Karl, and L. Gu, „Large drought-induced variations in oak leaf volatile organic compound emissions during pinot noir 2012,“ Chemosphere, vol. 146, pp. 8-21, 2016. J. P. Greenberg, D. Asensio, A. Turnipseed, A. B. Guenther, T. Karl, and D. Gochis, „Contribution of leaf and needle litter to whole ecosystem bvoc fluxes,“ Atmospheric environment, vol. 59, pp. 302-311, 2012. J. GREENBERG, H. FRIEDLI, A. GUENTHER, D. HANSON, P. HARLEY, and T. KARL, „Volatile organic emissions from the distillation and pyrolysis of vegetation,“ Atmospheric chemistry and physics, vol. 6, pp. 81-91, 2006. A. GUENTHER, T. KARL, P. HARLEY, C. WIEDINMYER, P. PALMER, and C. GERON, „Estimates of global terrestrial isoprene emissions using megan (model of emissions of gases and aerosols from nature),“ Atmospheric chemistry and physics, vol. 6, pp. 3181-3210, 2006. C. N. Hewitt, T. Karl, B. Langford, S. M. Owen, and M. Possell, „Quantification of voc emission rates from the biosphere,“ Trac-trends in analytical chemistry, vol. 30, iss. 7, pp. 937-944, 2011. A. Hodzic, S. Madronich, B. Aumont, J. Lee-Taylor, T. Karl, M. Camredon, and C. Mouchel-Vallon, „Limited influence of dry deposition of semivolatile organic vapors on secondary organic aerosol formation in the urban plume,“ Geophysical research letters, vol. 40, iss. 12, pp. 3302-3307, 2013. W. W. Hu, P. Campuzano-Jost, B. B. Palm, D. A. Day, A. M. Ortega, P. L. Hayes, J. E. Krechmer, Q. Chen, M. Kuwata, Y. J. Liu, S. S. de Sa, K. McKinney, S. T. Martin, M. Hu, S. H. Budisulistiorini, M. Riva, J. D. Surratt, J. M. St Clair, G. Isaacman-Van Wertz, L. D. Yee, A. H. Goldstein, S. Carbone, J. Brito, P. Artaxo, J. A. de Gouw, A. Koss, A. Wisthaler, T. Mikoviny, T. Karl, L. Kaser, W. Jud, A. Hansel, K. S. Docherty, M. L. Alexander, N. H. Robinson, H. Coe, J. D. Allan, M. R. Canagaratna, F. Paulot, and J. L. Jimenez, „Characterization of a real-time tracer for isoprene epoxydiols-derived secondary organic aerosol (iepox-soa) from aerosol mass spectrometer measurements,“ Atmospheric chemistry and physics, vol. 15, iss. 20, pp. 11807-11833, 2015. J. F. Hunter, D. A. Day, B. B. Palm, R. L. N. Yatavelli, A. H. Chan, L. Kaser, L. Cappellin, P. L. Hayes, E. S. Cross, A. J. Carrasquillo, P. Campuzano-Jost, H. Stark, Y. Zhao, T. Hohaus, J. N. Smith, A. Hansel, T. Karl, A. H. Goldstein, A. Guenther, D. R. Worsnop, J. A. Thornton, C. L. Heald, J. L. Jimenez, and J. H. Kroll, „Comprehensive characterization of atmospheric organic carbon at a forested site,“ Nature geoscience, vol. 10, iss. 10, p. 748-+, 2017. K. JARDINE, P. HARLEY, T. KARL, A. GUENTHER, M. LERDAU, and J. MAK, „Plant physiological and environmental controls over the exchange of acetaldehyde between forest canopies and the atmosphere,“ Biogeosciences, vol. 5, iss. 6, pp. 1559-1572, 2008. K. JARDINE, T. KARL, M. LERDAU, P. HARLEY, A. GUENTHER, and J. MAK, „Carbon isotope analysis of acetaldehyde emitted from leaves following mechanical stress and anoxia,“ Plant biology, vol. 11, iss. 4, pp. 591-597, 2009. K. Jardine, Y. A. Serrano, A. Arneth, L. Abrell, A. Jardine, J. van Haren, P. Artaxo, L. V. Rizzo, F. Y. Ishida, T. Karl, J. Kesselmeier, S. Saleska, and T. Huxman, „Within-canopy sesquiterpene ozonolysis in amazonia,“ Journal of geophysical research-atmospheres, vol. 116, pp. 19301-19301, 2011. K. J. Jardine, K. Meyers, L. Abrell, E. G. Alves, A. M. Yanez Serrano, J. Kesselmeier, T. Karl, A. Guenther, J. Q. Chambers, and C. Vickers, „Emissions of putative isoprene oxidation products from mango branches under abiotic stress,“ Journal of experimental botany, vol. 64, iss. 12, pp. 3697-3709, 2013. K. J. Jardine, R. K. Monson, L. Abrell, S. R. Saleska, A. Arneth, A. Jardine, F. Y. Ishida, A. M. Yanez Serrano, P. Artaxo, T. Karl, S. Fares, A. Goldstein, F. Loreto, and T. Huxman, „Within-plant isoprene oxidation confirmed by direct emissions of oxidation products methyl vinyl ketone and methacrolein,“ Global change biology, vol. 18, iss. 3, pp. 973-984, 2012. B. JOBSON, C. BERKOWITZ, W. KUSTER, P. GOLDAN, E. WILLIAMS, F. FESENFELD, E. APEL, T. KARL, W. LONNEMAN, and D. RIEMER, „Hydrocarbon source signatures in houston, texas: influence of the petrochemical industry,“ Journal of geophysical research-atmospheres, vol. 109, iss. D24, 2004. T. KARL, E. APEL, A. HODZIC, D. RIEMER, D. BLAKE, and C. WIEDINMYER, „Emissions of volatile organic compounds inferred from airborne flux measurements over a megacity,“ Atmospheric chemistry and physics, vol. 9, iss. 1, pp. 271-285, 2009. T. KARL, P. CRUTZEN, M. MANDL, M. STAUDINGER, A. GUENTHER, A. JORDAN, R. FALL, and W. LINDINGER, „Variability-lifetime relationship of vocs observed at the sonnblick observatory 1999 – estimation of ho-densities,“ Atmospheric environment, vol. 35, iss. 31, pp. 5287-5300, 2001. T. KARL, A. CURTIS, T. ROSENSTIEL, R. MONSON, and R. FALL, „Transient releases of acetaldehyde from tree leaves – products of a pyruvate overflow mechanism?,“ Plant cell and environment, vol. 25, iss. 9, pp. 1121-1131, 2002. T. KARL, R. FALL, P. CRUTZEN, A. JORDAN, and W. LINDINGER, „High concentrations of reactive biogenic vocs at a high altitude site in late autumn,“ Geophysical research letters, vol. 28, iss. 3, pp. 507-510, 2001. T. KARL, R. FALL, A. JORDAN, and W. LINDINGER, „On-line analysis of reactive vocs from urban lawn mowing,“ Environmental science & technology, vol. 35, iss. 14, pp. 2926-2931, 2001. T. KARL, R. FALL, T. ROSENSTIEL, P. PRAZELLER, B. LARSEN, G. SEUFERT, and W. LINDINGER, „On-line analysis of the (co2)-c-13 labeling of leaf isoprene suggests multiple subcellular origins of isoprene precursors,“ Planta, vol. 215, iss. 6, pp. 894-905, 2002. T. KARL and A. GUENTHER, „Atmospheric variability of biogenic vocs in the surface layer measured by proton-transfer-reaction mass spectrometry,“ in 1st international conference on proton transfer mass spectrometry, , pp. 77-86. T. KARL, A. GUENTHER, A. JORDAN, R. FALL, and W. LINDINGER, „Eddy covariance measurement of biogenic oxygenated voc emissions from hay harvesting,“ Atmospheric environment, vol. 35, iss. 3, pp. 491-495, 2001. T. KARL, A. GUENTHER, C. LINDINGER, A. JORDAN, R. FALL, and W. LINDINGER, „Eddy covariance measurements of oxygenated volatile organic compound fluxes from crop harvesting using a redesigned proton-transfer-reaction mass spectrometer,“ Journal of geophysical research-atmospheres, vol. 106, iss. D20, pp. 24157-24167, 2001. T. KARL, A. GUENTHER, C. SPIRIG, A. HANSEL, and R. FALL, „Seasonal variation of biogenic voc emissions above a mixed hardwood forest in northern michigan,“ Geophysical research letters, vol. 30, iss. 23, 2003. T. KARL, A. GUENTHER, A. TURNIPSEED, E. PATTON, and K. JARDINE, „Chemical sensing of plant stress at the ecosystem scale,“ Biogeosciences, vol. 5, iss. 5, pp. 1287-1294, 2008. T. KARL, A. GUENTHER, A. TURNIPSEED, G. TYNDALL, P. ARTAXO, and S. MARTIN, „Rapid formation of isoprene photo-oxidation products observed in amazonia,“ Atmospheric chemistry and physics, vol. 9, iss. 20, pp. 7753-7767, 2009. T. KARL, A. GUENTHER, R. YOKELSON, J. GREENBERG, M. POTOSNAK, D. BLAKE, and P. ARTAXO, „The tropical forest and fire emissions experiment: emission, chemistry, and transport of biogenic volatile organic compounds in the lower atmosphere over amazonia,“ Journal of geophysical research-atmospheres, vol. 112, iss. D18, 2007. T. KARL, A. HANSEL, T. MARK, W. LINDINGER, and D. HOFFMANN, „Trace gas monitoring at the mauna loa baseline observatory using proton-transfer reaction mass spectrometry,“ International journal of mass spectrometry, vol. 223, iss. 1-3, pp. 527-538, 2003. T. Karl, P. Harley, L. Emmons, B. Thornton, A. Guenther, C. Basu, A. Turnipseed, and K. Jardine, „Efficient atmospheric cleansing of oxidized organic trace gases by vegetation,“ Science, vol. 330, iss. 6005, pp. 816-819, 2010. T. KARL, P. HARLEY, A. GUENTHER, R. RASMUSSEN, B. BAKER, K. JARDINE, and E. NEMITZ, „The bi-directional exchange of oxygenated vocs between a loblolly pine (pinus taeda) plantation and the atmosphere,“ Atmospheric chemistry and physics, vol. 5, pp. 3015-3031, 2005. T. KARL, F. HARREN, C. WARNEKE, J. DE GOUW, C. GRAYLESS, and R. FALL, „Senescing grass crops as regional sources of reactive volatile organic compounds,“ Journal of geophysical research-atmospheres, vol. 110, iss. D15, 2005. T. KARL, T. JOBSON, W. KUSTER, E. WILLIAMS, J. STUTZ, R. SHETTER, S. HALL, P. GOLDAN, F. FEHSENFELD, and W. LINDINGER, „Use of proton-transfer-reaction mass spectrometry to characterize volatile organic compound sources at the la porte super site during the texas air quality study 2000,“ Journal of geophysical research-atmospheres, vol. 108, iss. D16, 2003. T. KARL, M. POTOSNAK, A. GUENTHER, D. CLARK, J. WALKER, J. HERRICK, and C. GERON, „Exchange processes of volatile organic compounds above a tropical rain forest: implications for modeling tropospheric chemistry above dense vegetation,“ Journal of geophysical research-atmospheres, vol. 109, iss. D18, 2004. T. KARL, P. PRAZELLER, D. MAYR, A. JORDAN, J. RIEDER, R. FALL, and W. LINDINGER, „Human breath isoprene and its relation to blood cholesterol levels: new measurements and modeling,“ Journal of applied physiology, vol. 91, iss. 2, pp. 762-770, 2001. T. KARL, C. YERETZIAN, A. JORDAN, and W. LINDINGER, „Dynamic measurements of partition coefficients using proton-transfer-reaction mass spectrometry (ptr-ms),“ International journal of mass spectrometry, vol. 223, iss. 1-3, pp. 383-395, 2003. T. Karl, M. Graus, M. Striednig, C. Lamprecht, A. Hammerle, G. Wohlfahrt, A. 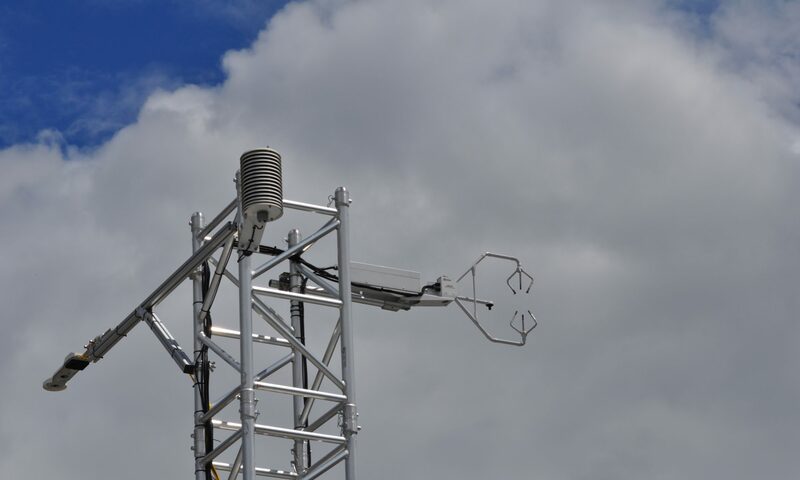 Held, L. von der Heyden, M. J. Deventer, A. Krismer, C. Haun, R. Feichter, and J. Lee, „Urban eddy covariance measurements reveal significant missing nox emissions in central europe,“ Scientific reports, vol. 7, 2017. T. Karl, A. Hansel, L. Cappellin, L. Kaser, I. Herdlinger-Blatt, and W. Jud, „Selective measurements of isoprene and 2-methyl-3-buten-2-ol based on no+ ionization mass spectrometry,“ Atmospheric chemistry and physics, vol. 12, iss. 24, pp. 11877-11884, 2012. T. Karl, P. K. Misztal, H. H. Jonsson, S. Shertz, A. H. Goldstein, and A. B. Guenther, „Airborne flux measurements of bvocs above californian oak forests: experimental investigation of surface and entrainment fluxes, oh densities, and damkohler numbers,“ Journal of the atmospheric sciences, vol. 70, iss. 10, pp. 3277-3287, 2013. T. Karl, M. Striednig, M. Graus, A. Hammerle, and G. Wohlfahrt, „Urban flux measurements reveal a large pool of oxygenated volatile organic compound emissions,“ Proceedings of the national academy of sciences of the united states of america, vol. 115, iss. 6, pp. 1186-1191, 2018. T. KARL, T. CHRISTIAN, R. YOKELSON, P. ARTAXO, W. HAO, and A. GUENTHER, „The tropical forest and fire emissions experiment: method evaluation of volatile organic compound emissions measured by ptr-ms, ftir, and gc from tropical biomass burning,“ Atmospheric chemistry and physics, vol. 7, iss. 22, pp. 5883-5897, 2007. T. KARL, C. SPIRIG, J. RINNE, C. STROUD, P. PREVOST, J. GREENBERG, R. FALL, and A. GUENTHER, „Virtual disjunct eddy covariance measurements of organic compound fluxes from a subalpine forest using proton transfer reaction mass spectrometry,“ Atmospheric chemistry and physics, vol. 2, pp. 279-291, 2002. T. Karl, L. Kaser, and A. Turnipseed, „Eddy covariance measurements of isoprene and 232-mbo based on no+ time-of-flight mass spectrometry,“ International journal of mass spectrometry, vol. 365, pp. 15-19, 2014. L. Kaser, T. Karl, A. Guenther, M. Graus, R. Schnitzhofer, A. Turnipseed, L. Fischer, P. Harley, M. Madronich, D. Gochis, E. N. Keutsch, and A. Hansel, „Undisturbed and disturbed above canopy ponderosa pine emissions: ptr-tof-ms measurements and megan 2.1 model results,“ Atmospheric chemistry and physics, vol. 13, iss. 23, pp. 11935-11947, 2013. L. Kaser, T. Karl, R. Schnitzhofer, M. Graus, I. S. Herdlinger-Blatt, J. P. DiGangi, B. Sive, A. Turnipseed, R. S. Hornbrook, W. Zheng, F. M. Flocke, A. Guenther, F. N. Keutsch, E. Apel, and A. Hansel, „Comparison of different real time voc measurement techniques in a ponderosa pine forest,“ Atmospheric chemistry and physics, vol. 13, iss. 5, pp. 2893-2906, 2013. L. Kaser, T. Karl, B. Yuan, I. Mauldin R. L., C. A. Cantrell, A. B. Guenther, E. G. Patton, A. J. Weinheimer, C. Knote, J. Orlando, L. Emmons, E. Apel, R. Hornbrook, S. Shertz, K. Ullmann, S. Hall, M. Graus, J. de Gouw, X. Zhou, and C. Ye, „Chemistry-turbulence interactions and mesoscale variability influence the cleansing efficiency of the atmosphere,“ Geophysical research letters, vol. 42, iss. 24, 2015. S. Kim, T. Karl, A. Guenther, G. Tyndall, J. Orlando, P. Harley, R. Rasmussen, and E. Apel, „Emissions and ambient distributions of biogenic volatile organic compounds (bvoc) in a ponderosa pine ecosystem: interpretation of ptr-ms mass spectra,“ Atmospheric chemistry and physics, vol. 10, iss. 4, pp. 1759-1771, 2010. S. Kim, T. Karl, D. Helmig, R. Daly, R. Rasmussen, and A. Guenther, „Measurement of atmospheric sesquiterpenes by proton transfer reaction-mass spectrometry (ptr-ms),“ Atmospheric measurement techniques, vol. 2, iss. 1, pp. 99-112, 2009. S. Kim, A. Guenther, T. Karl, and J. Greenberg, „Contributions of primary and secondary biogenic voc tototal oh reactivity during the cabinex (community atmosphere-biosphere interactions experiments)-09 field campaign,“ Atmospheric chemistry and physics, vol. 11, iss. 16, pp. 8613-8623, 2011. S. Kim, G. M. Wolfe, L. Mauldin, C. Cantrell, A. Guenther, T. Karl, A. Turnipseed, J. Greenberg, S. R. Hall, K. Ullmann, E. Apel, R. Hornbrook, Y. Kajii, Y. Nakashima, F. N. Keutsch, J. P. DiGangi, S. B. Henry, L. Kaser, R. Schnitzhofer, M. Graus, A. Hansel, W. Zheng, and F. F. Flocke, „Evaluation of hox sources and cycling using measurement-constrained model calculations in a 2-methyl-3-butene-2-ol (mbo) and monoterpene (mt) dominated ecosystem,“ Atmospheric chemistry and physics, vol. 13, iss. 4, pp. 2031-2044, 2013. B. Kravitz, A. B. Guenther, L. Gu, T. Karl, L. Kaser, S. G. Pallardy, J. Penuelas, M. J. Potosnak, and R. Seco, „A new paradigm of quantifying ecosystem stress through chemical signatures,“ Ecosphere, vol. 7, iss. 11, 2016. W. Kuster, B. Jobson, T. Karl, D. Riemer, E. Apel, P. Goldan, and F. Fehsenfeld, „Intercomparison of volatile organic carbon measurement techniques and data at la porte during the texaqs2000 air quality study,“ Environmental science & technology, vol. 38, iss. 1, pp. 221-228, 2004. R. MacKenzie, A. Tomlin, J. Kleffmann, T. Karl, C. N. Hewitt, D. Heard, K. Sartelet, R. Sommariva, U. Baltensperger, R. Harrison, S. Madronich, G. McFiggans, S. Pandis, J. Wenger, A. Kiendler-Scharr, N. M. Donahue, R. Dunmore, R. Doherty, S. Moller, I. Kilbane-Dawe, B. McDonald, A. Wahner, S. Zhu, A. Presto, M. Kalberer, M. Hort, J. Lee, I. Nikolova, J. L. Jimenez, L. Whalley, M. S. Alam, and A. Skouloudis, „Numerical modelling strategies for the urban atmosphere: general discussion,“ Faraday discussions, vol. 189, pp. 635-660, 2016. J. E. Mak, L. Su, A. Guenther, and T. Karl, „A novel whole air sample profiler (wasp) for the quantification of volatile organic compounds in the boundary layer,“ Atmospheric measurement techniques, vol. 6, iss. 10, pp. 2703-2712, 2013. S. Martin, M. Andreae, D. Althausen, P. Artaxo, H. Baars, S. Borrmann, Q. Chen, D. Farmer, A. Guenther, S. Gunthe, J. Jimenez, T. Karl, K. Longo, A. Manzi, T. Muller, T. Pauliquevis, M. Petters, A. Prenni, U. Poschl, L. Rizzo, J. Schneider, J. Smith, E. Swietlicki, J. Tota, J. Wang, A. Wiedensohler, and S. Zorn, „An overview of the amazonian aerosol characterization experiment 2008 (amaze-08),“ Atmospheric chemistry and physics, vol. 10, iss. 23, pp. 11415-11438, 2010. D. Millet, A. Guenther, D. Siegel, N. Nelson, H. Singh, J. de Gouw, C. Warneke, J. Williams, G. Eerdekens, V. Sinha, T. Karl, F. Flocke, E. Apel, D. Riemer, P. Palmer, and M. Barkley, „Global atmospheric budget of acetaldehyde: 3-d model analysis and constraints from in-situ and satellite observations,“ Atmospheric chemistry and physics, vol. 10, iss. 7, pp. 3405-3425, 2010. D. MILLET, D. JACOB, T. CUSTER, J. DE GOUW, A. GOLDSTEIN, T. KARL, H. SINGH, B. SIVE, R. TALBOT, C. WARNEKE, and J. WILLIAMS, „New constraints on terrestrial and oceanic sources of atmospheric methanol,“ Atmospheric chemistry and physics, vol. 8, iss. 23, pp. 6887-6905, 2008. P. K. Misztal, C. N. Hewitt, J. Wildt, J. D. Blande, A. S. D. Eller, S. Fares, D. R. Gentner, J. B. Gilman, M. Graus, J. Greenberg, A. B. Guenther, A. Hansel, P. Harley, M. Huang, K. Jardine, T. Karl, L. Kaser, F. N. Keutsch, A. Kiendler-Scharr, E. Kleist, B. M. Lerner, T. Li, J. Mak, A. C. Noelscher, R. Schnitzhofer, V. Sinha, B. Thornton, C. Warneke, F. Wegener, C. Werner, J. Williams, D. R. Worton, N. Yassaa, and A. H. Goldstein, „Atmospheric benzenoid emissions from plants rival those from fossil fuels,“ Scientific reports, vol. 5, 2015. P. K. Misztal, T. Karl, R. Weber, H. H. Jonsson, A. B. Guenther, and A. H. Goldstein, „Airborne flux measurements of biogenic isoprene over california,“ Atmospheric chemistry and physics, vol. 14, iss. 19, pp. 10631-10647, 2014. P. K. Misztal, J. C. Avise, T. Karl, K. Scott, H. H. Jonsson, A. B. Guenther, and A. H. Goldstein, „Evaluation of regional isoprene emission factors and modeled fluxes in california,“ Atmospheric chemistry and physics, vol. 16, iss. 15, pp. 9611-9628, 2016. M. Muller, M. Graus, T. Ruuskanen, R. Schnitzhofer, I. Bamberger, L. Kaser, T. Titzmann, L. Hortnagl, G. Wohlfahrt, T. Karl, and A. Hansel, „First eddy covariance flux measurements by ptr-tof,“ Atmospheric measurement techniques, vol. 3, iss. 2, pp. 387-395, 2010. Y. Nakashima, S. Kato, J. Greenberg, P. Harley, T. Karl, A. Turnipseed, E. Apel, A. Guenther, J. Smith, and Y. Kajii, „Total oh reactivity measurements in ambient air in a southern rocky mountain ponderosa pine forest during beachon-srm08 summer campaign,“ Atmospheric environment, vol. 85, pp. 1-8, 2014. J. Ortega, A. Turnipseed, A. B. Guenther, T. G. Karl, D. A. Day, D. Gochis, J. A. Huffman, A. J. Prenni, E. J. T. Levin, S. M. Kreidenweis, P. J. DeMott, Y. Tobo, E. G. Patton, A. Hodzic, Y. Y. Cui, P. C. Harley, R. S. Hornbrook, E. C. Apel, R. K. Monson, A. S. D. Eller, J. P. Greenberg, M. C. Barth, P. Campuzano-Jost, B. B. Palm, J. L. Jimenez, A. C. Aiken, M. K. Dubey, C. Geron, J. Offenberg, M. G. Ryan, P. J. Fornwalt, S. C. Pryor, F. N. Keutsch, J. P. DiGangi, A. W. H. Chan, A. H. Goldstein, G. M. Wolfe, S. Kim, L. Kaser, R. Schnitzhofer, A. Hansel, C. A. Cantrell, R. L. Mauldin, and J. N. Smith, „Overview of the manitou experimental forest observatory: site description and selected science results from 2008 to 2013,“ Atmospheric chemistry and physics, vol. 14, iss. 12, pp. 6345-6367, 2014. B. B. Palm, P. Campuzano-Jost, D. A. Day, A. M. Ortega, J. L. Fry, S. S. Brown, K. J. Zarzana, W. Dube, N. L. Wagner, D. C. Draper, L. Kaser, W. Jud, T. Karl, A. Hansel, C. Gutierrez-Montes, and J. L. Jimenez, „Secondary organic aerosol formation from in situ oh, o-3, and no3 oxidation of ambient forest air in an oxidation flow reactor,“ Atmospheric chemistry and physics, vol. 17, iss. 8, pp. 5331-5354, 2017. B. B. Palm, P. Campuzano-Jost, A. M. Ortega, D. A. Day, L. Kaser, W. Jud, T. Karl, A. Hansel, J. F. Hunter, E. S. Cross, J. H. Kroll, Z. Peng, W. H. Brune, and J. L. Jimenez, „In situ secondary organic aerosol formation from ambient pine forest air using an oxidation flow reactor,“ Atmospheric chemistry and physics, vol. 16, iss. 5, pp. 2943-2970, 2016. E. G. Patton, T. W. Horst, P. P. Sullivan, D. H. Lenschow, S. P. Oncley, W. O. J. Brown, S. P. Burns, A. B. Guenther, A. Held, T. Karl, S. D. Mayor, L. V. Rizzo, S. M. Spuler, J. Sun, A. A. Turnipseed, E. J. Allwine, S. L. Edburg, B. K. Lamb, R. Avissar, R. J. Calhoun, J. Kleissl, W. J. Massman, K. T. Paw U, and J. C. Weil, „The canopy horizontal array turbulence study,“ Bulletin of the american meteorological society, vol. 92, iss. 5, pp. 593-611, 2011. J. Peischl, T. B. Ryerson, J. S. Holloway, M. Trainer, A. E. Andrews, E. L. Atlas, D. R. Blake, B. C. Daube, E. J. Dlugokencky, M. L. Fischer, A. H. Goldstein, A. Guha, T. Karl, J. Kofler, E. Kosciuch, P. K. Misztal, A. E. Perring, I. B. Pollack, G. W. Santoni, J. P. Schwarz, J. R. Spackman, S. C. Wofsy, and D. D. Parrish, „Airborne observations of methane emissions from rice cultivation in the sacramento valley of california,“ Journal of geophysical research-atmospheres, vol. 117, 2012. R. PELTIER, A. HECOBIAN, R. WEBER, A. STOHL, E. ATLAS, D. RIEMER, D. BLAKE, E. APEL, T. CAMPOS, and T. KARL, „Investigating the sources and atmospheric processing of fine particles from asia and the northwestern united states measured during intex b,“ Atmospheric chemistry and physics, vol. 8, iss. 6, pp. 1835-1853, 2008. L. Pichelstorfer, D. Stolzenburg, J. Ortega, T. Karl, H. Kokkola, A. Laakso, K. E. J. Lehtinen, J. N. Smith, P. H. McMurry, and P. M. Winkler, „Resolving nanoparticle growth mechanisms from size- and time-dependent growth rate analysis,“ Atmospheric chemistry and physics, vol. 18, iss. 2, pp. 1307-1323, 2018. M. J. Potosnak, L. LeStourgeon, S. G. Pallardy, K. P. Hosman, L. Gu, T. Karl, C. Geron, and A. B. Guenther, „Observed and modeled ecosystem isoprene fluxes from an oakdominated temperate forest and the influence of drought stress,“ Atmospheric environment, vol. 84, pp. 314-322, 2014. P. PRAZELLER, T. KARL, A. JORDAN, R. HOLZINGER, A. HANSEL, and W. LINDINGER, „Quantification of passive smoking using proton-transfer-reaction mass spectrometry,“ International journal of mass spectrometry, vol. 178, iss. 3, p. L1-L4, 1998. J. Rinne, T. Karl, and A. Guenther, „Simple, stable, and affordable: towards long-term ecosystem scale flux measurements of vocs,“ Atmospheric environment, vol. 131, pp. 225-227, 2016. L. Rizzo, P. Artaxo, T. Karl, A. Guenther, and J. Greenberg, „Aerosol properties, in-canopy gradients, turbulent fluxes and voc concentrations at a pristine forest site in amazonia,“ Atmospheric environment, vol. 44, iss. 4, pp. 503-511, 2010. T. M. Ruuskanen, M. Mueller, R. Schnitzhofer, T. Karl, M. Graus, I. Bamberger, L. Hoertnagl, F. Brilli, G. Wohlfahrt, and A. Hansel, „Eddy covariance voc emission and deposition fluxes above grassland using ptr-tof,“ Atmospheric chemistry and physics, vol. 11, iss. 2, pp. 611-625, 2011. R. Seco, T. Karl, A. Guenther, K. P. Hosman, S. G. Pallardy, L. Gu, C. Geron, P. Harley, and S. Kim, „Ecosystem-scale volatile organic compound fluxes during an extreme drought in a broadleaf temperate forest of the missouri ozarks (central usa),“ Global change biology, vol. 21, iss. 10, pp. 3657-3674, 2015. R. Seco, T. Karl, A. Turnipseed, J. Greenberg, A. Guenther, J. Llusia, J. Penuelas, U. Dicken, E. Rotenberg, S. Kim, and D. Yakir, „Springtime ecosystem-scale monoterpene fluxes from mediterranean pine forests across a precipitation gradient,“ Agricultural and forest meteorology, vol. 237, pp. 150-159, 2017. C. STROUD, P. MAKAR, T. KARL, A. GUENTHER, C. GERON, A. TURNIPSEED, E. NEMITZ, B. BAKER, M. POTOSNAK, and J. FUENTES, „Role of canopy-scale photochemistry in modifying biogenic-atmosphere exchange of reactive terpene species: results from the celtic field study,“ Journal of geophysical research-atmospheres, vol. 110, iss. D17, 2005. R. Thalman, M. T. Baeza-Romero, S. M. Ball, E. Borras, M. J. S. Daniels, I. C. A. Goodall, S. B. Henry, T. Karl, F. N. Keutsch, S. Kim, J. Mak, P. S. Monks, A. Munoz, J. Orlando, S. Peppe, A. R. Rickard, M. Rodenas, P. Sanchez, R. Seco, L. Su, G. Tyndall, M. Vazquez, T. Vera, E. Waxman, and R. Volkamer, „Instrument intercomparison of glyoxal, methyl glyoxal and no2 under simulated atmospheric conditions,“ Atmospheric measurement techniques, vol. 8, iss. 4, pp. 1835-1862, 2015. A. TURNIPSEED, S. PRESSLEY, T. KARL, B. LAMB, E. NEMITZ, E. ALLWINE, W. COOPER, S. SHERTZ, and A. GUENTHER, „The use of disjunct eddy sampling methods for the determination of ecosystem level fluxes of trace gases,“ Atmospheric chemistry and physics, vol. 9, iss. 3, pp. 981-994, 2009. N. Unger, K. Harper, Y. Zheng, N. Y. Kiang, I. Aleinov, A. Arneth, G. Schurgers, C. Amelynck, A. Goldstein, A. Guenther, B. Heinesch, C. N. Hewitt, T. Karl, Q. Laffineur, B. Langford, K. A. McKinney, P. Misztal, M. Potosnak, J. Rinne, S. Pressley, N. Schoon, and D. Seraca, „Photosynthesis-dependent isoprene emission from leaf to planet in a global carbon-chemistry-climate model,“ Atmospheric chemistry and physics, vol. 13, iss. 20, pp. 10243-10269, 2013. A. R. Vaughan, J. D. Lee, P. K. Misztal, S. Metzger, M. D. Shaw, A. C. Lewis, R. M. Purvis, D. C. Carslaw, A. H. Goldstein, N. C. Hewitt, B. Davison, S. D. Beevers, and T. G. Karl, „Spatially resolved flux measurements of nox from london suggest significantly higher emissions than predicted by inventories,“ Faraday discussions, vol. 189, pp. 455-472, 2016. A. R. Vaughan, J. D. Lee, M. D. Shaw, P. K. Misztal, S. Metzger, M. Vieno, B. Davison, T. G. Karl, L. J. Carpenter, A. C. Lewis, R. M. Purvis, A. H. Goldstein, and N. C. Hewitt, „Voc emission rates over london and south east england obtained by airborne eddy covariance,“ Faraday discussions, vol. 200, pp. 599-620, 2017. C. WARNEKE, T. KARL, H. JUDMAIER, A. HANSEL, A. JORDAN, W. LINDINGER, and P. CRUTZEN, „Acetone, methanol, and other partially oxidized volatile organic emissions from dead plant matter by abiological processes: significance for atmospheric hox chemistry,“ Global biogeochemical cycles, vol. 13, iss. 1, pp. 9-17, 1999. P. M. Winkler, J. Ortega, T. Karl, L. Cappellin, H. R. Friedli, K. Barsanti, P. H. McMurry, and J. N. Smith, „Identification of the biogenic compounds responsible for size-dependent nanoparticle growth,“ Geophysical research letters, vol. 39, 2012. P. M. Winkler, J. Ortega, T. Karl, P. H. McMurry, J. N. Smith, P. DeMott, and C. ODowd, „A fast-scanning dma train for precision quantification of early nanoparticle growth,“ Nucleation and atmospheric aerosols, vol. 1527, pp. 165-168, 2013. G. Wohlfahrt, C. Amelynck, C. Ammann, A. Arneth, I. Bamberger, A. H. Goldstein, L. Gu, A. Guenther, A. Hansel, B. Heinesch, T. Holst, L. Hoertnagl, T. Karl, Q. Laffineur, A. Neftel, K. McKinney, J. W. Munger, S. G. Pallardy, G. W. Schade, R. Seco, and N. Schoon, „An ecosystem-scale perspective of the net land methanol flux: synthesis of micrometeorological flux measurements,“ Atmospheric chemistry and physics, vol. 15, iss. 13, pp. 7413-7427, 2015. G. M. Wolfe, C. Cantrell, S. Kim, I. Mauldin R. L., T. Karl, P. Harley, A. Turnipseed, W. Zheng, F. Flocke, E. C. Apel, R. S. Hornbrook, S. R. Hall, K. Ullmann, S. B. Henry, J. P. DiGangi, E. S. Boyle, L. Kaser, R. Schnitzhofer, A. Hansel, M. Graus, Y. Nakashima, Y. Kajii, A. Guenther, and F. N. Keutsch, „Missing peroxy radical sources within a summertime ponderosa pine forest,“ Atmospheric chemistry and physics, vol. 14, iss. 9, pp. 4715-4732, 2014. G. M. Wolfe, T. F. Hanisco, H. L. Arkinson, T. P. Bui, J. D. Crounse, J. Dean-Day, A. Goldstein, A. Guenther, S. R. Hall, G. Huey, D. J. Jacob, T. Karl, P. S. Kim, X. Liu, M. R. Marvin, T. Mikoviny, P. K. Misztal, T. B. Nguyen, J. Peischl, I. Pollack, T. Ryerson, J. M. St Clair, A. Teng, K. R. Travis, K. Ullmann, P. O. Wennberg, and A. Wisthaler, „Quantifying sources and sinks of reactive gases in the lower atmosphere using airborne flux observations,“ Geophysical research letters, vol. 42, iss. 19, pp. 8231-8240, 2015. Z. Wu, X. Wang, A. A. Turnipseed, F. Chen, L. Zhang, A. B. Guenther, T. Karl, L. G. Huey, D. Niyogi, B. Xia, and K. Alapaty, „Evaluation and improvements of two community models in simulating dry deposition velocities for peroxyacetyl nitrate (pan) over a coniferous forest,“ Journal of geophysical research-atmospheres, vol. 117, 2012. C. Ye, X. Zhou, D. Pu, J. Stutz, J. Festa, M. Spolaor, C. Tsai, C. Cantrell, I. Mauldin Roy L., T. Campos, A. Weinheimer, R. S. Hornbrook, E. C. Apel, A. Guenther, L. Kaser, B. Yuan, T. Karl, J. Haggerty, S. Hall, K. Ullmann, J. N. Smith, J. Ortega, and C. Knote, „Rapid cycling of reactive nitrogen in the marine boundary layer,“ Nature, vol. 532, iss. 7600, p. 489-+, 2016. R. YOKELSON, T. CHRISTIAN, T. KARL, and A. GUENTHER, „The tropical forest and fire emissions experiment: laboratory fire measurements and synthesis of campaign data,“ Atmospheric chemistry and physics, vol. 8, iss. 13, pp. 3509-3527, 2008. R. YOKELSON, J. CROUNSE, P. DECARLO, T. KARL, S. URBANSKI, E. ATLAS, T. CAMPOS, Y. SHINOZUKA, V. KAPUSTIN, A. CLARKE, A. WEINHEIMER, D. KNAPP, D. MONTZKA, J. HOLLOWAY, P. WEIBRING, F. FLOCKE, W. ZHENG, D. TOOHEY, P. WENNBERG, C. WIEDINMYER, L. MAULDIN, A. FRIED, D. RICHTER, J. WALEGA, J. JIMENEZ, K. ADACHI, P. BUSECK, S. HALL, and R. SHETTER, „Emissions from biomass burning in the yucatan,“ Atmospheric chemistry and physics, vol. 9, iss. 15, pp. 5785-5812, 2009. R. YOKELSON, T. KARL, P. ARTAXO, D. BLAKE, T. CHRISTIAN, D. GRIFFITH, A. GUENTHER, and W. HAO, „The tropical forest and fire emissions experiment: overview and airborne fire emission factor measurements,“ Atmospheric chemistry and physics, vol. 7, iss. 19, pp. 5175-5196, 2007. H. Yu, A. Guenther, D. Gu, C. Warneke, C. Geron, A. Goldstein, M. Graus, T. Karl, L. Kaser, P. Misztal, and B. Yuan, „Airborne measurements of isoprene and monoterpene emissions from southeastern us forests,“ Science of the total environment, vol. 595, pp. 149-158, 2017. H. Yu, J. Ortega, J. N. Smith, A. B. Guenther, V. P. Kanawade, Y. You, Y. Liu, K. Hosman, T. Karl, R. Seco, C. Geron, S. G. Pallardy, L. Gu, J. Mikkila, and S. Lee, „New particle formation and growth in an isoprene-dominated ozark forest: from sub-5 nm to ccn-active sizes,“ Aerosol science and technology, vol. 48, iss. 12, pp. 1285-1298, 2014. B. Yuan, L. Kaser, T. Karl, M. Graus, J. Peischl, T. L. Campos, S. Shertz, E. C. Apel, R. S. Hornbrook, A. Hills, J. B. Gilman, B. M. Lerner, C. Warneke, F. M. Flocke, T. B. Ryerson, A. B. Guenther, and J. A. de Gouw, „Airborne flux measurements of methane and volatile organic compounds over the haynesville and marcellus shale gas production regions,“ Journal of geophysical research-atmospheres, vol. 120, iss. 12, pp. 6271-6289, 2015. H. Zhang, D. R. Worton, M. Lewandowski, J. Ortega, C. L. Rubitschun, J. Park, K. Kristensen, P. Campuzano-Jost, D. A. Day, J. L. Jimenez, M. Jaoui, J. H. Offenberg, T. E. Kleindienst, J. Gilman, W. C. Kuster, J. de Gouw, C. Park, G. W. Schade, A. A. Frossard, L. Russell, L. Kaser, W. Jud, A. Hansel, L. Capellin, T. Karl, M. Glasius, A. Guenther, A. H. Goldstein, J. H. Seinfeld, A. Gold, R. M. Kamens, and J. D. Surratt, „Organosulfates as tracers for secondary organic aerosol (soa) formation from 2-methyl-3-buten-2-ol (mbo) in the atmosphere,“ Environmental science & technology, vol. 46, iss. 17, pp. 9437-9446, 2012. W. ZHAO, P. HOPKE, and T. KARL, „Source identification of volatile organic compounds in houston, texas,“ Environmental science & technology, vol. 38, iss. 5, pp. 1338-1347, 2004. Y. Zheng, N. Unger, J. M. Tadic, R. Seco, A. B. Guenther, M. P. Barkley, M. J. Potosnak, L. T. Murray, A. M. Michalak, X. Qiu, S. Kim, T. Karl, L. Gu, and S. G. Pallardy, „Drought impacts on photosynthesis, isoprene emission and atmospheric formaldehyde in a mid-latitude forest,“ Atmospheric environment, vol. 167, pp. 190-201, 2017. L. Zhou, R. Gierens, A. Sogachev, D. Mogensen, J. Ortega, J. N. Smith, P. C. Harley, A. J. Prenni, E. J. T. Levin, A. Turnipseed, A. Rusanen, S. Smolander, A. B. Guenther, M. Kulmala, T. Karl, and M. Boy, „Contribution from biogenic organic compounds to particle growth during the 2010 beachon-rocs campaign in a colorado temperate needleleaf forest,“ Atmospheric chemistry and physics, vol. 15, iss. 15, pp. 8643-8656, 2015.